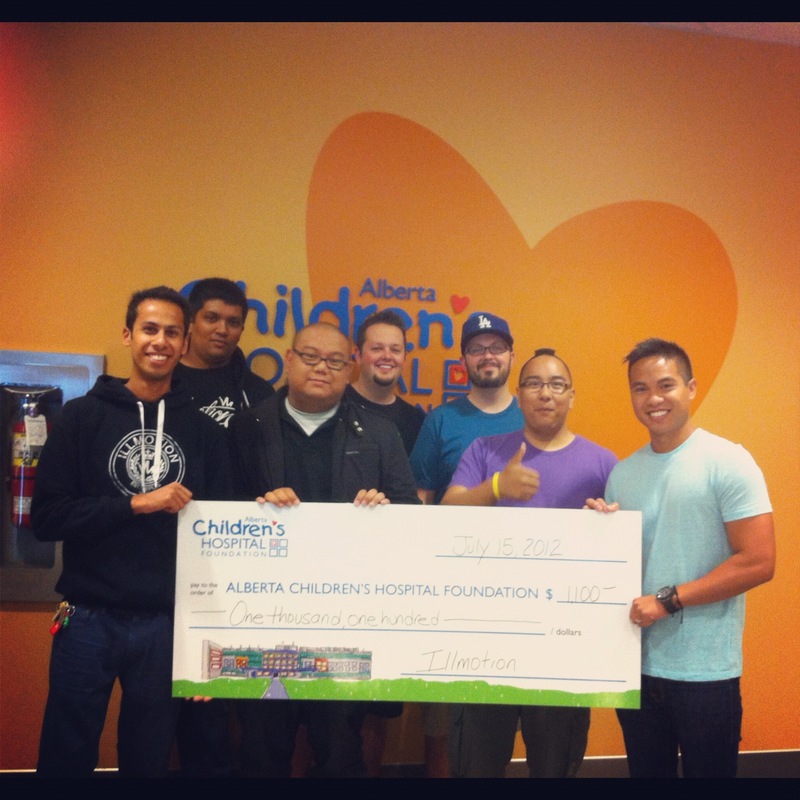 Alberta Children’s Hospital – Thank you! Yesterday afternoon we had a visit to the Alberta Children’s Hospital for a cheque presentation and a tour of the hospital. The cheque presentation is a representation of all the support everybody has given us over the past 2 years with us. Without you guys, there would be none of this and we’re truly grateful for all the support we’ve been given. We chose to use the Alberta Children’s Hospital Foundation because we think the kids are the most important part of our future. No kids = no future. We were all there once – why not help the kids that need it more be able to say the same? Good job to the guys for sticking to what started illmotion in the first place. Special thanks to Naomi Sayo and Steph Ly for helping us at the booth and bringing all the boys to the yard and donating a portion of their sales to the final total. Finally – thanks to everyone else that sticks with us and helps us hold the fort down, you all know who you are!